The title of the article might be a little deceptive. I am not competing for a multi-million dollar purse in a boxing match against Floyd "Money" Mayweather, I am simply a chess player that will present to you his training regimen before a big tournament. In this case I am preparing for the upcoming Millionaire Chess in Las Vegas starting on October 9th. Since this is actually the first time I am preparing specifically for a tournament, I doubt my routine was perfectly crafted. Nevertheless I think my training covered all the major elements to reach peak form before an event. My goal for the past month was quite simple: to be in the best shape of my life for this event. This meant that I had to train my chess, improve my emotional intelligence, as well as train my body to withstand the upcoming energy expenditure. This routine is preferably a year-long process that never stops, but most of us have other commitments besides chess. 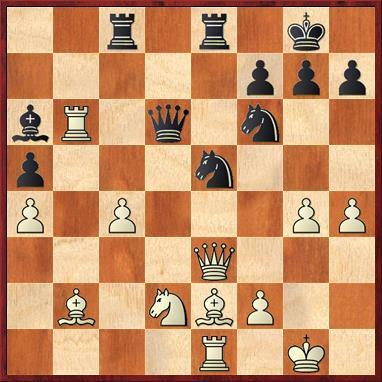 Most professional chess players should abide by some of the training guidelines that I'm about to present to achieve success in their careers. It is very important to know what you are going to play before the tournament, having a clear strategy will surely help you have a relaxed and confident attitude before the games. I already have a clear opening repertoire but for this tournament I decided to add some new weapons. Since the registration list was online, I prepared in particular for some of the strong players participating, this helped me go through my openings and decide what would be the best option to choose from against a particular opponent. During this process I created personal databases for each opponent which helps me access their games easier. 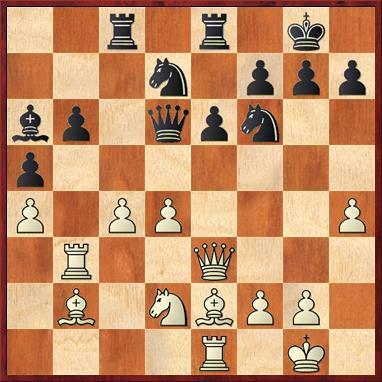 The strong grandmasters have a very deep understanding of the openings they play, this means that they are often analyzing the middle game that arises from their repertoire. This allows them to have an incredible edge over their opposition. In today's chess everybody knows theory, it's a normal outcome of the computer age, when there is an incredible amount of information available and anybody can access it using their personal silicon friend. 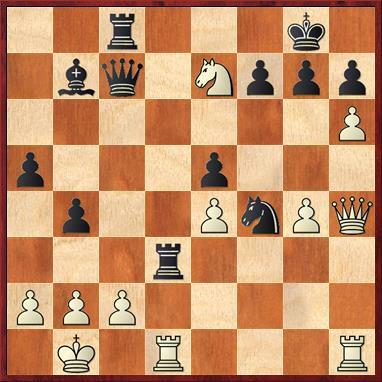 In order to get a better grasp of the middle game I will be facing I usually play a lot of training games (mostly blitz) with my collaborators, and after each games we try to analyze it and add the conclusions to the files we have created previously for that specific line. These type of studies are extremely fun to solve, this one for example has a very beautiful idea. 1.h7 Ra2+ 2.Kb3 Rh2 3.Kxa4 Kg2! 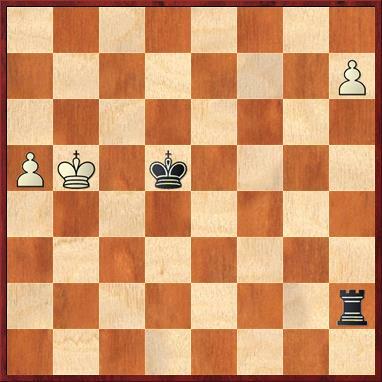 This is the key position, the point is that if white is to move he will be outflanked. 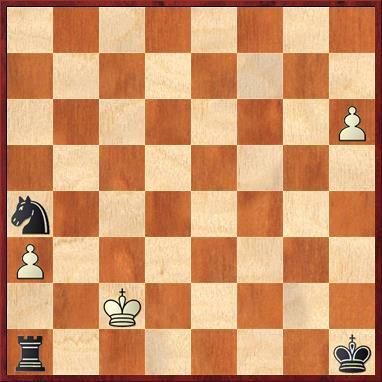 If black is to move Rb2 does not have the same effect anymore, as white can move his king in front of his pawns. 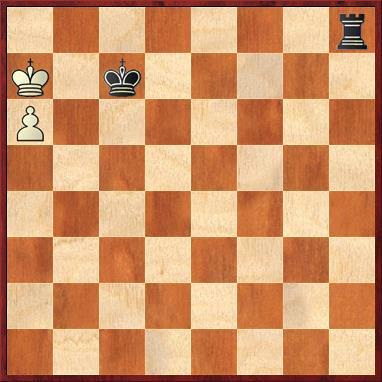 This is an incredible mutual zugzwang. 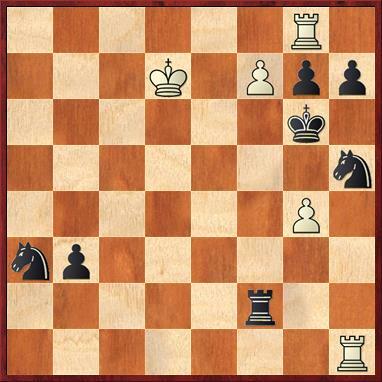 Black can't find a waiting move for his rook. 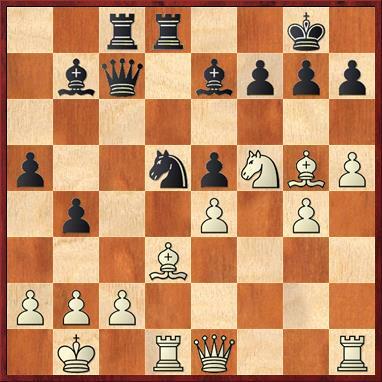 7...Kd6 8.Kb6 outflanking via c4 is not possible anymore 8...Kd7 9.Kb7 Kd8 10.a6 Rxh7+ 11.Kb8 Rh4 12.a7 Rb4+ 13.Ka8=; 7...Rh1 8.a6 Rb1+ 9.Ka5 Kc5 and now the a1 square can be controlled 10.h8Q+-. Being able to control your emotions during a game of chess can and will make the difference between a successful or a failed tournament. Often times, if not always, it is only one move that will decide the outcome of one's tournament performance. If you win last game you will win the tournament, if you lose or draw you will fall out of the podium. This is the competitive nature of chess and is normal that everybody wants to be as calm and cool as possible during crucial moments. That's why I think having a clear mind before a tournament is as important as having a good theoretical preparation. In order to achieve a certain degree of clear mindfulness I try to read, listen to music, and exercise (see next paragraph). I the past month I resided in San Francisco, this is one of the nicest places I have ever been and the view from the house I live in are simply amazing. This really helped me keep a positive and motivated attitude. In recent times there has been an incredible surge of young talent in the chess world. This is not only because of the computers available, but also because of the stamina that these kids possess. North American chess is especially "plagued" by this symptom due to the tournament schedule that often times include 2 or even 3 rounds daily. Keeping a constant focus for such long periods of time is an extremely demanding task, and without a high fitness level it is almost impossible to achieve. I am lucky enough to have started working out and training my body for quite a few years now, but for this particular tournament I decided to try a new fitness program. What I did is a high intensity training program which helped me increase my stamina and allow me to maintain my concentration for longer periods of time. If you are interested in pursuing a program that does not require any equipment or paid subscription, you should definitely give FREELETICS a shot (www.freeletics.com). Millionaire Chess is a completely new and exciting project that will surely change the image of chess. For this reason I chose to give this tournament special treatment and adopt this new training approach. I hope you will find my routine interesting and that it will help you craft your own training regimen that will allow you to take your game to the next level. Stay tuned to see if the Million Dollar training regimen actually paid off in part 2 of this article. Find out more about GM Chirila on his website, http://www.cristian-chirila.com/ and follow him on twitter https://twitter.com/CristianChirila . Follow the Millionaire Chess Open on its website, facebook page and twitter. Also look for GM Daniel Naroditsky's post-event coverage for Chess Life Magazine.